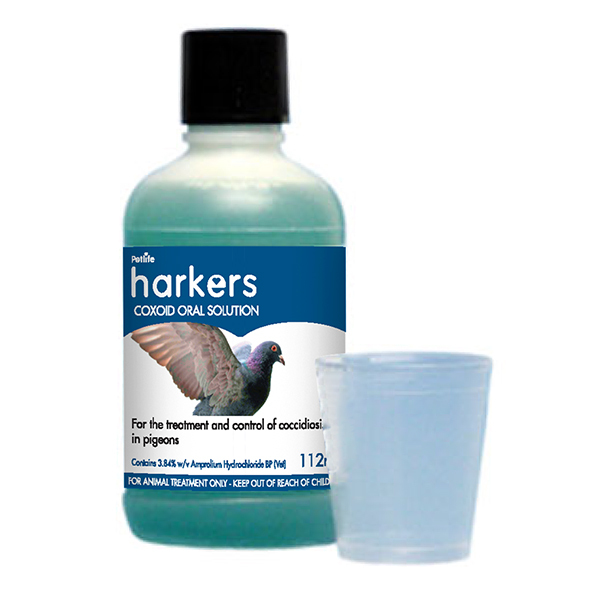 Coxoid is a liquid treatment for Coccidiosis in pigeons. Contains 3.84% amprolium hydrochloride. Coxoid is a safe and rapid treatment for outbreaks. 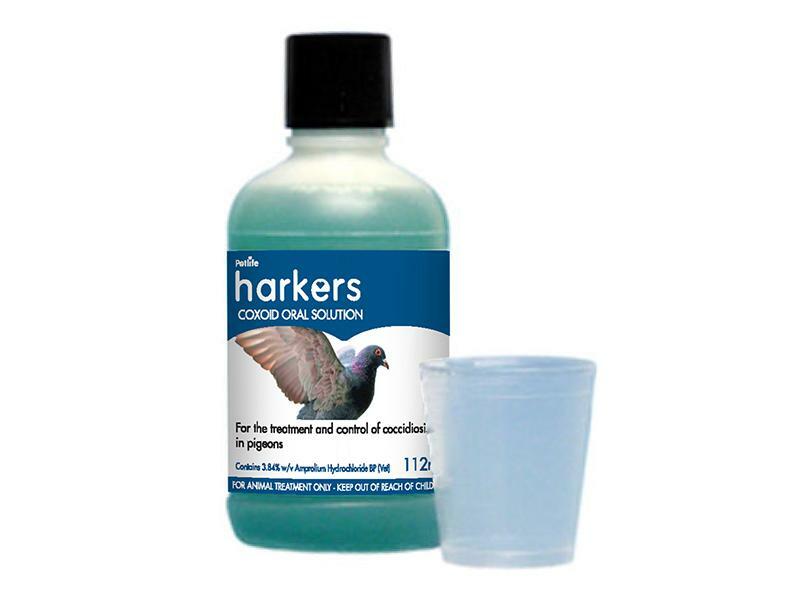 Below are some recent questions we've received regarding Harkers Coxoid Treatment for Pigeons, including answers from our team. Is it safe to mix the two treatments & give simultaneous? Yes, it is safe to give both together. 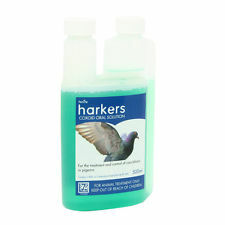 However you may want to use Harkers 3 in 1 which treats Coccidiosis, Canker and Worms in a single dose. what is the dosage per litre for canaries?? I would expect the same concentration to be used for canaries as pigeons. (Larger birds drink more water, so get a total dose proportionate to their size. A small bird gets a lot less through drinking less. It is a bit hit and miss, but this is the general principle which applies to putting medication in drinking water.) I would have to suggest that you check this with your vet before using it in any bird other than a pigeon, which is the licensed use. We can only supply it on the basis that it will be used in pigeons.